Whilst Brisbane is forecast to sweat through its hottest few weeks ago, the question is why swelter when you don’t have to. Being in the capital of the ‘Sunshine State’ one should always be on the look out for ways to staying cool. Besides my Filo mates’ favorite artificial beach in Southbank, all the long sandy ones are just within striking distance of Brisbane. I am talking about the nine major beaches that dot along the Gold Coast which made the latter as Australia’s most famous tourist area. Not to mention all the innumerable high-profile attractions such as Warner Bros. Movie World, Wet ‘n’ Wild, Sea World and Paradise Country which Gold Coast houses, I still reckon this beach culture is ought to be the best way to embrace the sunshine. 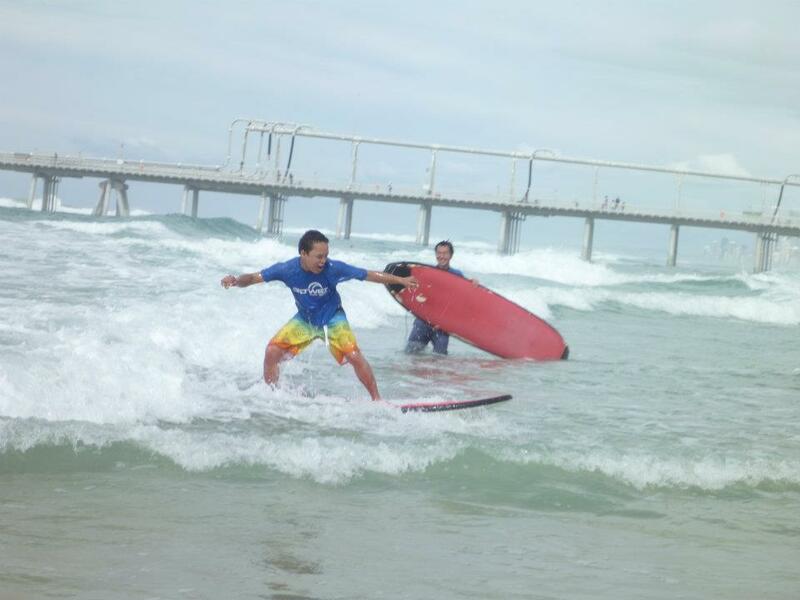 ● Coolangatta — fun for the whole family. 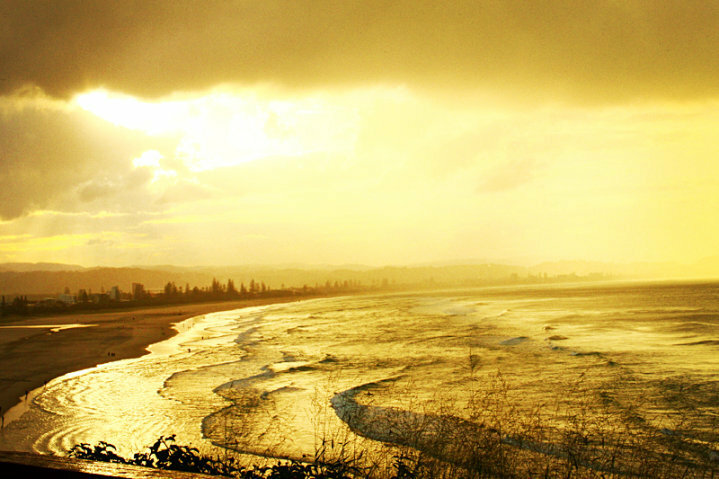 ● Currumbin — more famous for its bird sanctuary than its beach. 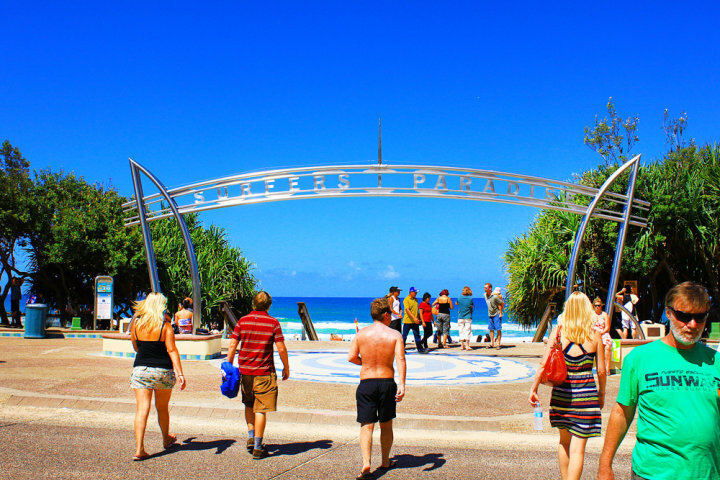 ● Broadbeach — in the heart of the tourist attraction. 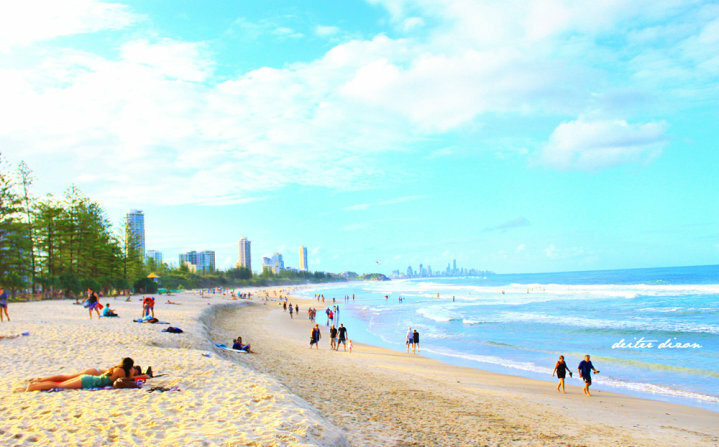 ● Surfers Paradise— the most famous of all the beaches. A long sandy strip backed by high-rise apartments. F—Find the flags and swim between them. L—Look at and read the safety signs. S—Stick your hand up for help. Always remember to swim between the RED and YELLOW flags. 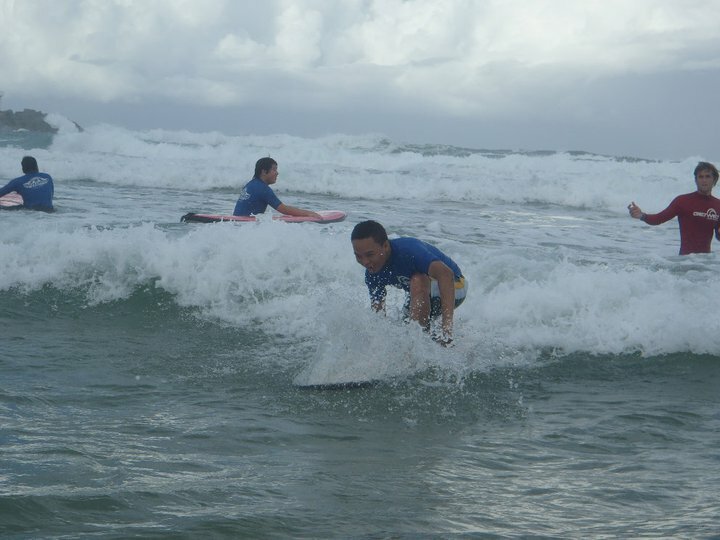 If either sunbathing or swimming is not your cup of tea, then SURFING should be your best option. 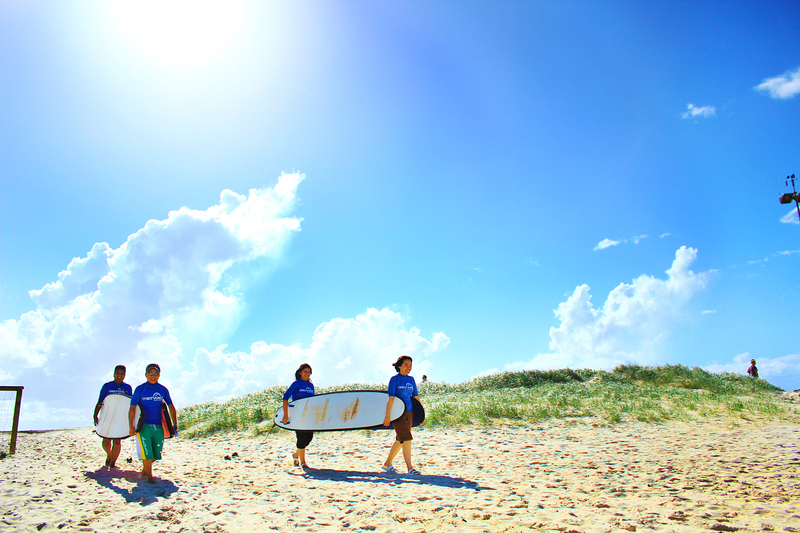 That two-hour surf lesson with Get Wet Surf School last year together with Study Brisbane’s International Student Ambassadors just goes to prove (I am sure) that Queensland is not known as ‘Sunshine State’ around Australia for nothing, with plenty other ways to always keep cool. 2011 - This was before, still struggling on making that stand. 2012 - This was after, just a perfect example of that mantra in life: "Try and try, until you SUCCEED!" Another guaranteed FUN day out! Brisbane Welcomes International Students 2012 event here we come. We HOPE TO SEE YOU SOON wearing that smile! And oh, just as you think of heading to the Gold Coast (I know it’s fun to surf) but do check out first our own story as documented by the video blog at Au Courant’s Corner now on its seventh webisode with an exclusive up-close and personal interview with Charlton Brown’s 2011 Most Outstanding International Student, Kyoko Yamazaki from Japan. Not even the afternoon storms possibly pushing temperatures into the high 30s last time could STOP Au Courant’s Corner from bringing you an entertainment while learning about the life of an international student in Australia’s New World City.